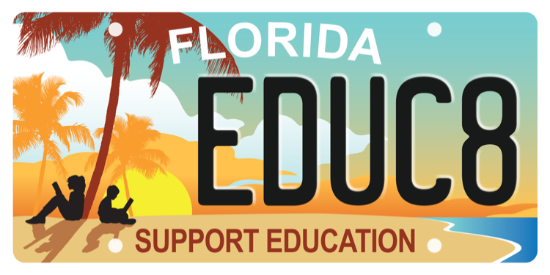 buy the Florida Education License Plate! When you buy the Education License Plate, you are donating $20 directly to The Education Fund. This money will be used for special programs that tax dollars just can't cover - things like classroom grants, equipment and books for school libraries, and student scholarships. In other words, the money raised in Miami-Dade County stays in Miami-Dade County for the benefit of Miami-Dade County Public Schools' students. Click here to RENEW your plate online. Click here to purchase your Education License plate from a Tag Office.